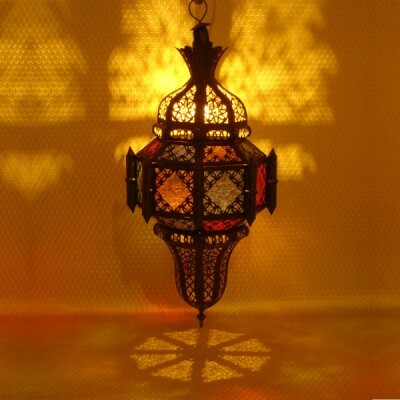 Moroccan Metal Lantern hand made in Marrakesh Medina. Moroccan Lantern with coloured glasses. For an original Indoor or outdoor Deco.